These selling conditions are important both for you and for NAUTICADECOR.COM since they have been designed to create a legally binding agreement between the parties, protecting your rights as a customer and our own company. All purchases are made in Sant Cugat del Vallès - Barcelona (Spain). The fact you order in NAUTICADECOR.COM means the full acceptance of prices, products description and general conditions of sale, and the specific characteristics of each product that will be the unique applicable to the contract. By placing an order through NAUTICADECOR.COM you guarantee us that you are fully authorized to use the appropriate credit or debit card or Paypal account, if you choose these payment methods. Select the product you want to buy, enter the amount and select the options like colors, sizes, etc, and press the button "add to cart". Then shows up your shopping cart, if you agree, click next. Now enter your shipping and billing address and click next. Indicate the shipping mode and accept these terms of sale and finally must select the form of payment by credit / debit card or Paypal. To order, you must follow the purchase process and finally pay. Upon completion of the above process, you will receive an email acknowledging receipt of your order (the "Order Confirmation"). The prices of products are those published in NAUTICADECOR.COM at all times. These prices include VAT. NAUTICADECOR.COM reserves the right to modify at any time the selling prices listed on this website, however the products will be billed based on rates set when order is registered. NAUTICADECOR.COM agrees to ship products in perfect condition to delivery address you set on the order form, within the preparation time limit established on our website. Shipments are made by courier, whose prices are set in the online store and you can check either price & delivery terms in our Shipping Conditions. Da availability established in the store is the time required for shipping the products and should add 24 hours in transit. You can also choose to collect the product in Sant Cugat del Vallés (Barcelona) without any transportation charges. 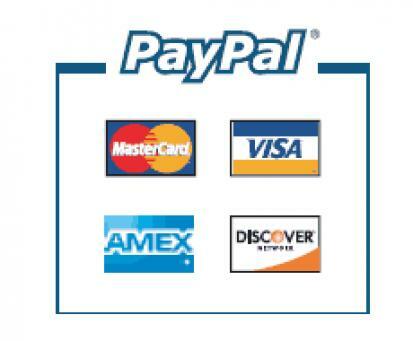 All payments by credit card are made securely through the payment gateway or Paypal Banc de Sabadell. The safety of such entities is referred. We recommend you read our page on Secure Payment. Customer may request cancellation of any order that has not yet been sent. If the order has already been shipped, the cancellation request will be considered as a waiver and shall conform to the provisions of the "Right of withdrawal" provisions in our privacy notice. The company accepts the cancellation of orders through Customer Service by e-mail to info@nauticadecor.com by phone on +34 931 448 960. All products purchased on NAUTICADECOR.COM be returned and refunded, provided you inform us of your intention to return the / the product / s purchased / s within a maximum period of 14 natural days from the date of delivery and thatmeet all other conditions set out in this section. These should be submitted using the same enclosure that has been received to protect the product. In the event that it can not be done with the housing in which it was delivered, the customer must return it in a protective case so thatthe product reaches the store NAUTICADECOR.COM with the maximum possible guarantees. You must include a copy of the delivery note inside the package, which also marked the returned products and thereason for return. After reviewing the article will be contacted if you are entitled to a refund of amounts paid, by the / items purchased / s.Only refund the / the item / s, never that of shipping, refund and gift wrapping. The refund will be made ​​as soon as possible and in any event within 30 days from the date you notified us of its intention towithdraw. You assume the entire cost and risk of returning the products as stated above. No such exchange or return products that are not in the same condition as when received, or have been worn beyondsimply opening the product. Nor will accept the return of personalized items. In case where you believe that at the time of delivery the product does not meet the terms of the Agreement, please contact us immediately through our contact form or email info@nauticadecor.com providing data of the product and its damage. In some cases we may ask you to send us a photo of the damage. Only claims for defective products will be accepted before 72h once the products are delivered. Please return the item using the original packaging as well as instructions, packaging and documentation that may accompany it. Upon receipt of the returned merchandise, we will carefully examine the returned product and will notify you by e-mail within a reasonable period if any return or replacement thereof (if any). The refund or replacement item will be made as soon as possible and in any event within 30 days from the date we send you an email confirming that comes the return or replacement of nonconforming item. In the event that you can not replace the product or products, the amounts paid for those products that are returned because of any defect or defect, where one exists, will be refunded in full, including delivery charges incurred in sending the item and the costs you incurred to return it to us. For partial returns (ie, those in which items are returned that were purchased in an order together with other items) only refund the price of the returned items: transportation costs, packaging and gift redemption will not be returned. If you have any questions, please contact us through our contact form, writing to info@nauticadecor.com or call +34 931 448 960. This excludes the rights recognized by law. All our products are guaranteed for life, keeping the original appearance for years. However, due to the fragility of it, once the product delivered in perfect condition can not be responsible for possible breaks. According to Royal Decree 1/2007 of 16 November, approving the revised text of the General Law for the Defence of Consumers and Users, NAUTICADECOR responds to the lack of conformity becomes apparent within two years from delivery. In the case of non-compliance, you must inform us within two months after he has knowledge of it by sending an email to info@nauticadecor.com with your data indicating the invoice number and the anomaly detected. Failure to comply with this deadline shall not entail loss of the warranty, but you will nevertheless be responsible for the damages caused by the delay in communication. In the event of a manufacturing defect, NAUTICADECOR be liable for the costs return as well as costs related to labor and materials. The items to be returned must be properly packaged for return. The packaging must be in perfect condition and keep all accessories and instructions to be returned home. The warranty does not apply in cases of faults or damage caused by external factors, accidents, electrical accidents in particular, wear, installation or product misuse, tampering or use not in accordance with the supplier's instructions. Also excluded from this warranty are products modified or repaired by the customer or any other person authorized by the supplier. For any question or inquiry, please contact Customer Service by email or by phone at info@nauticadecor.com +34 931 448 960.